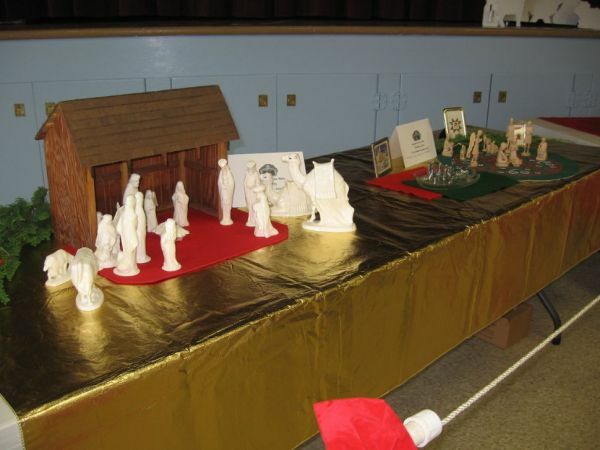 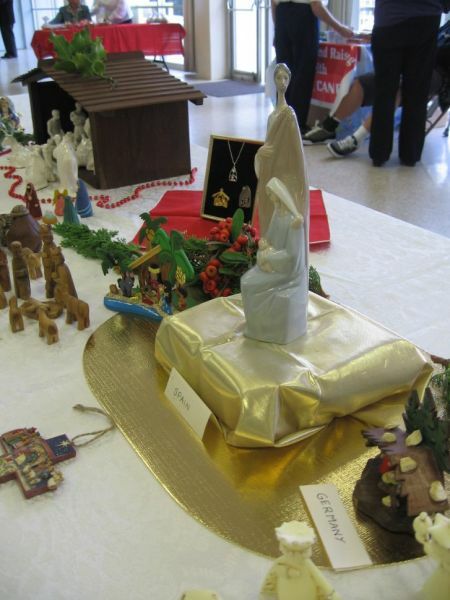 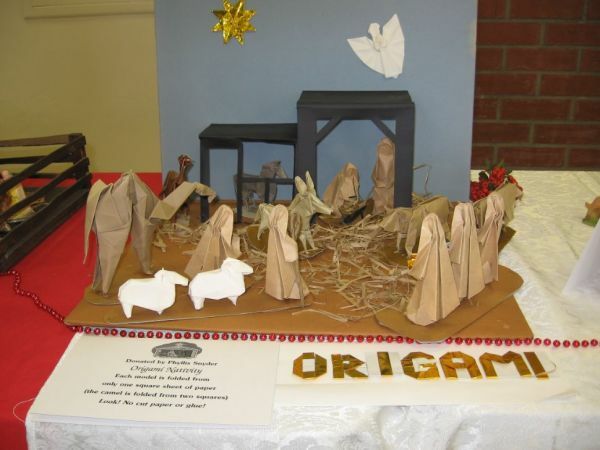 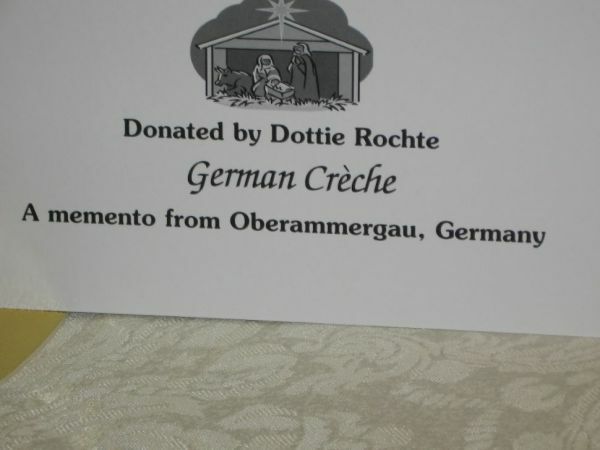 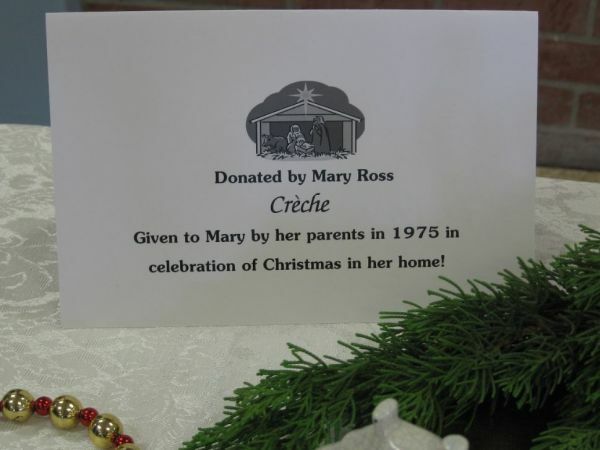 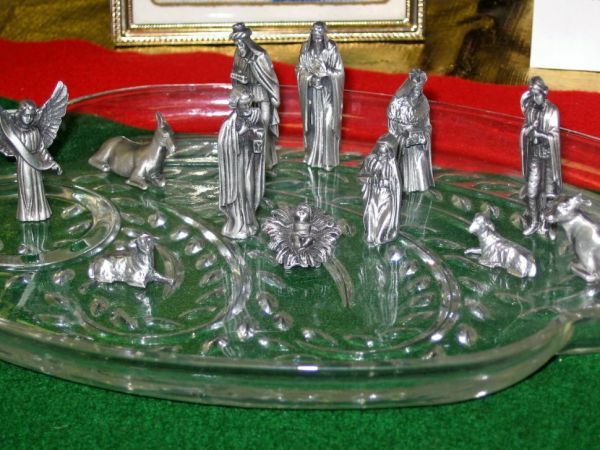 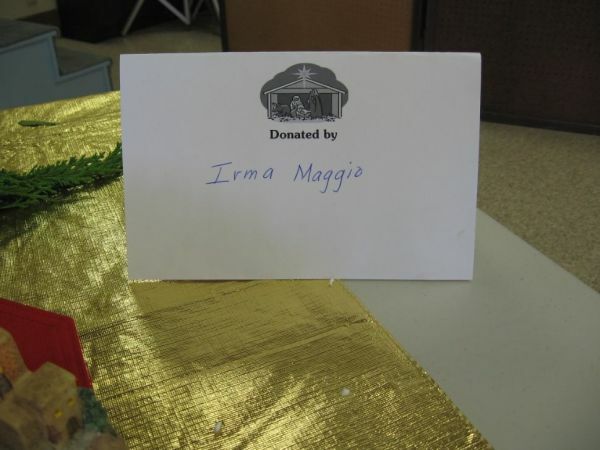 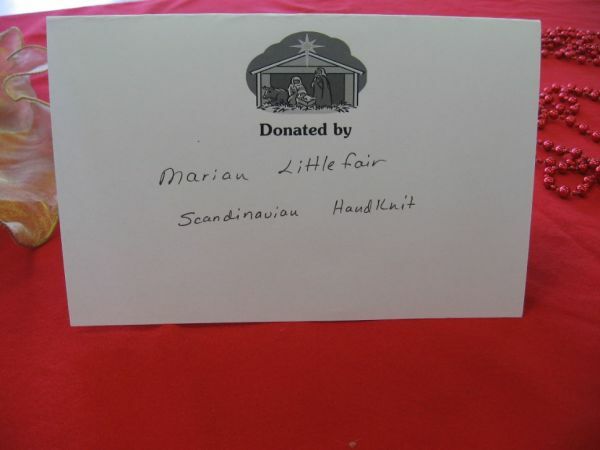 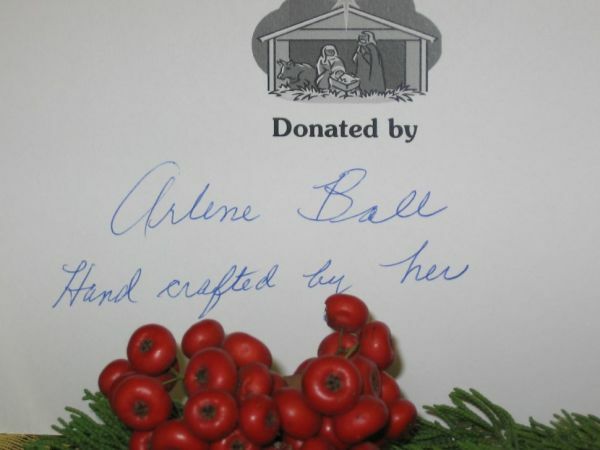 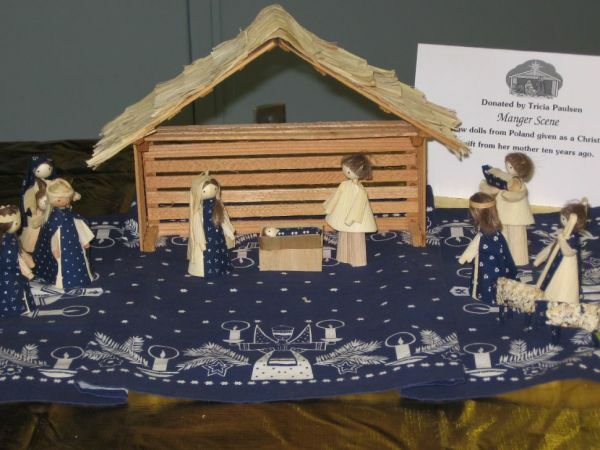 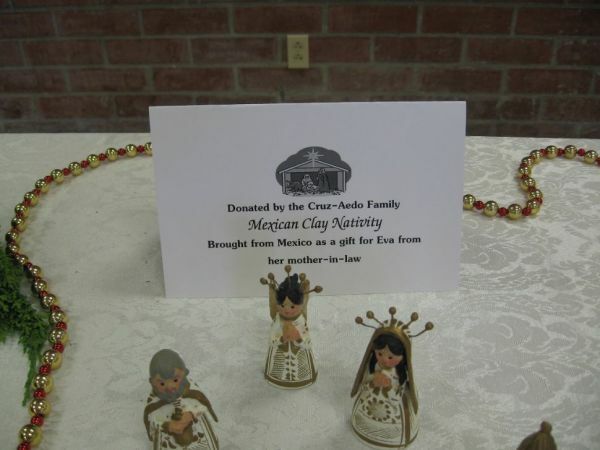 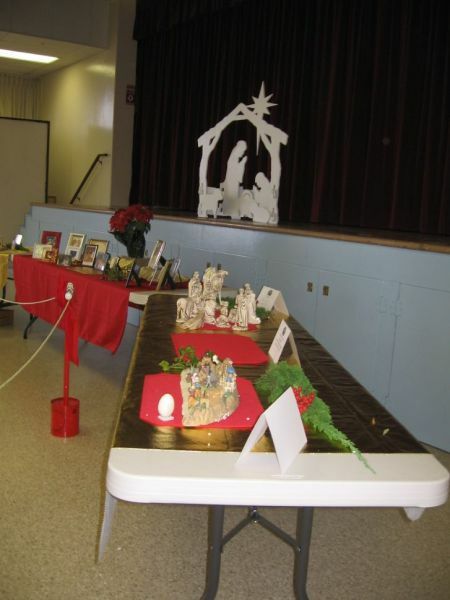 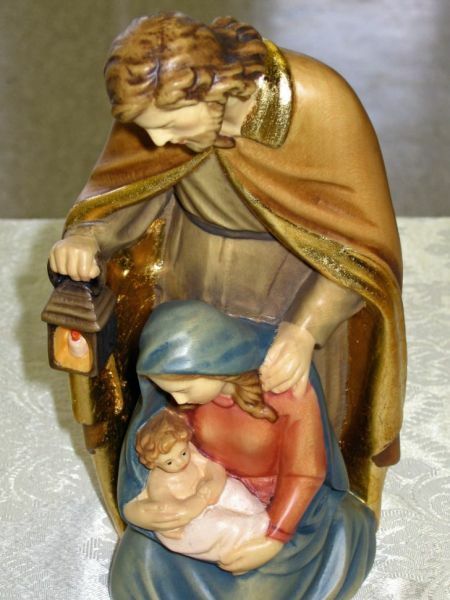 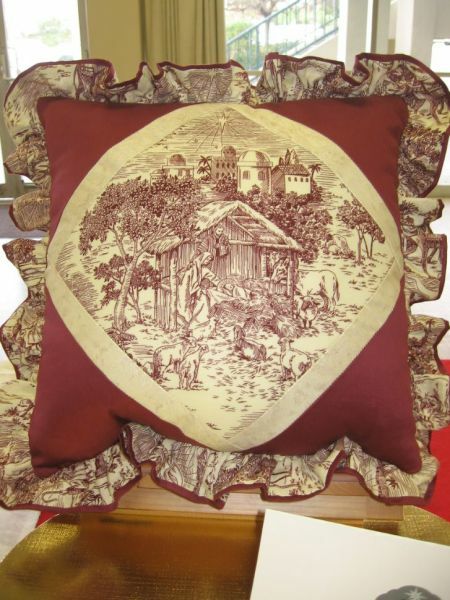 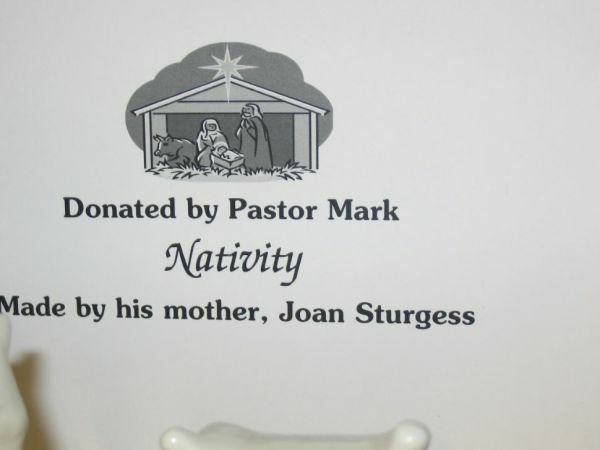 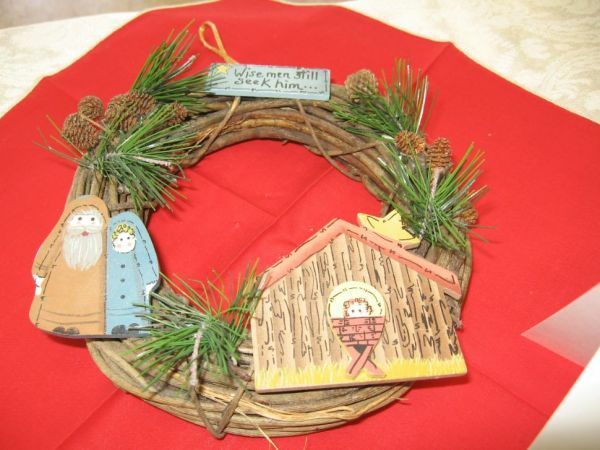 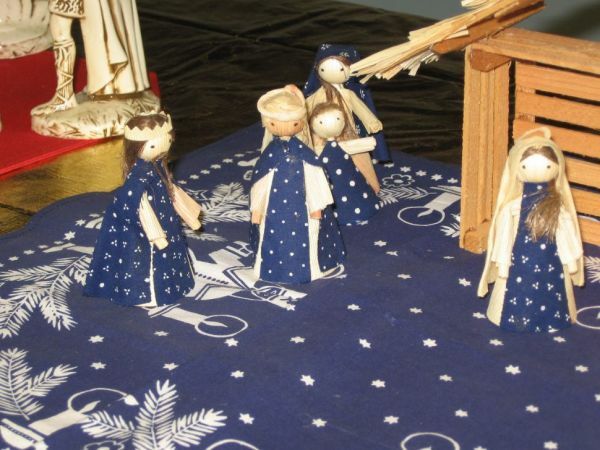 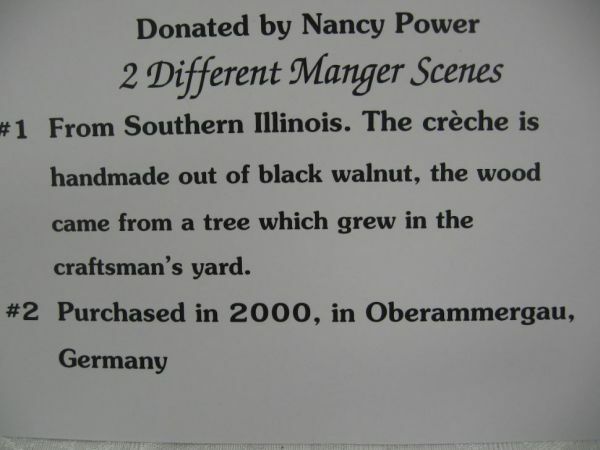 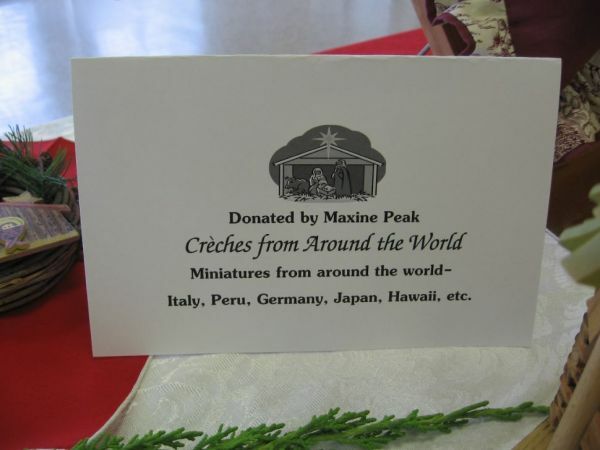 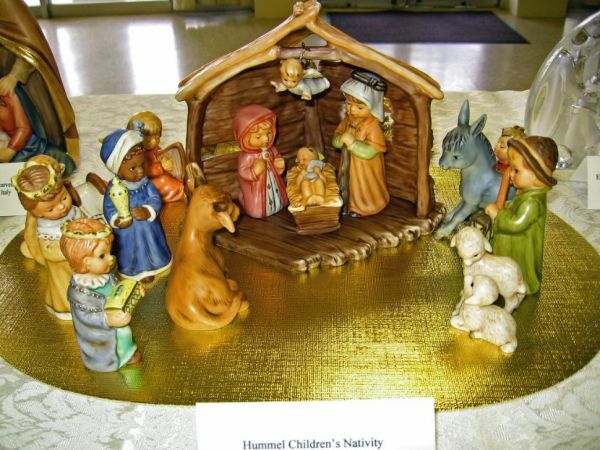 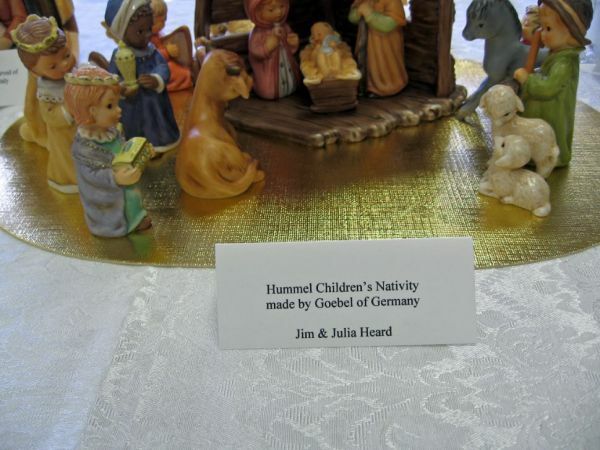 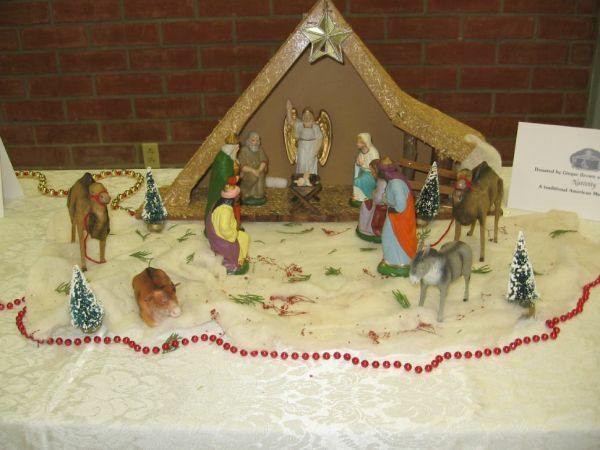 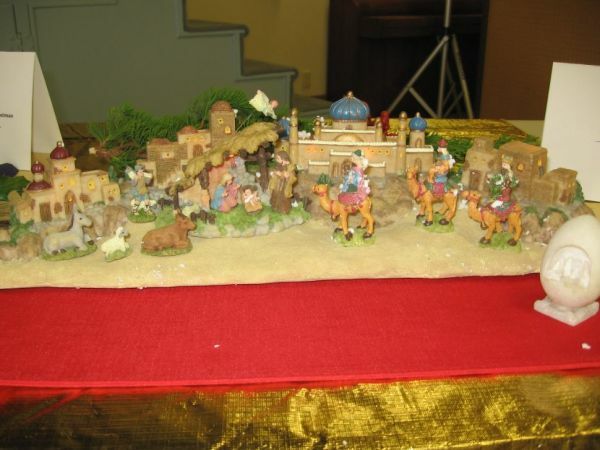 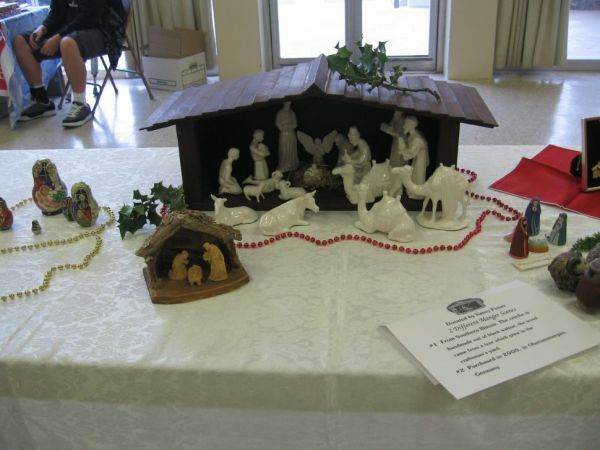 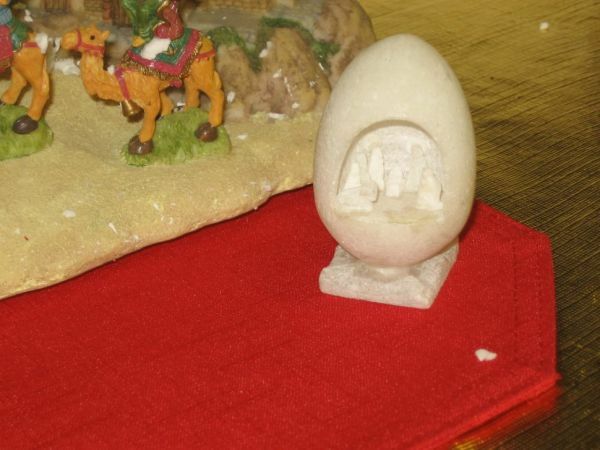 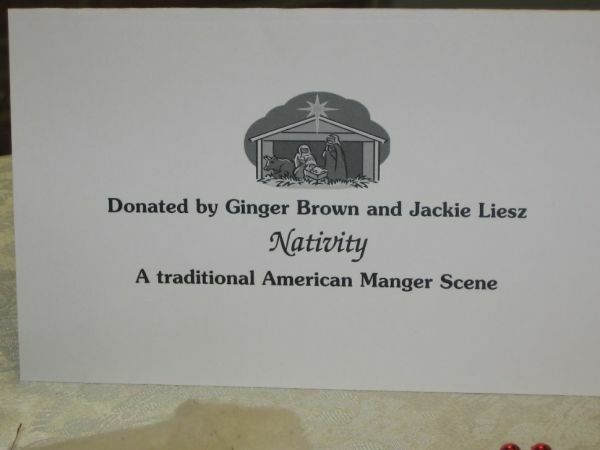 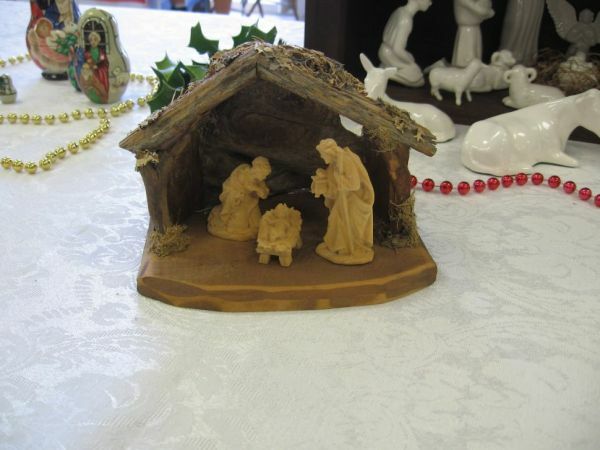 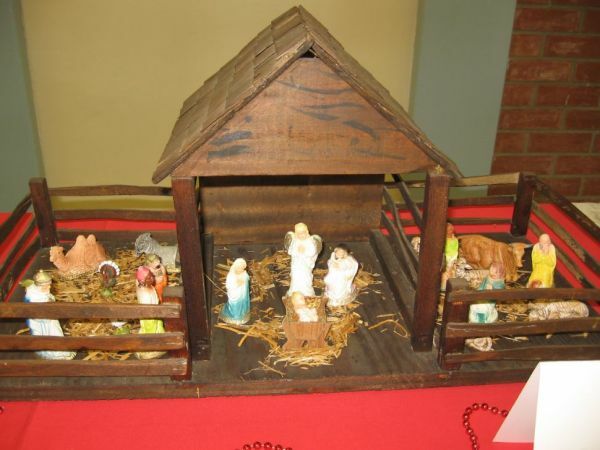 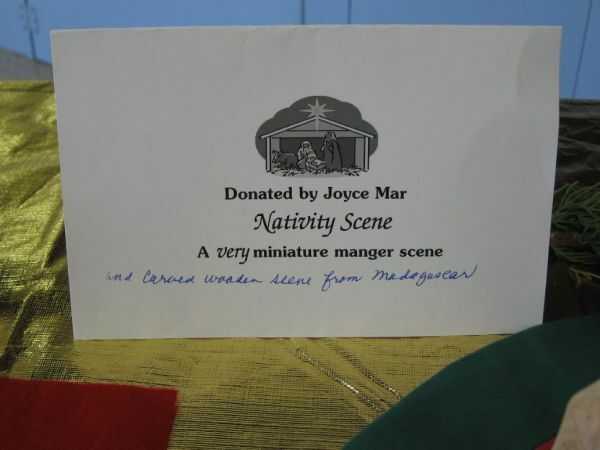 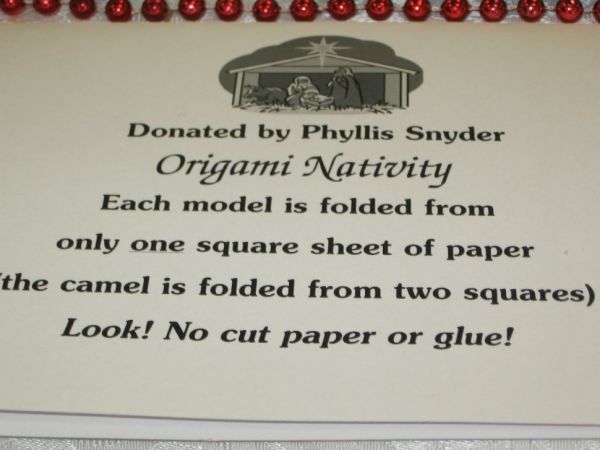 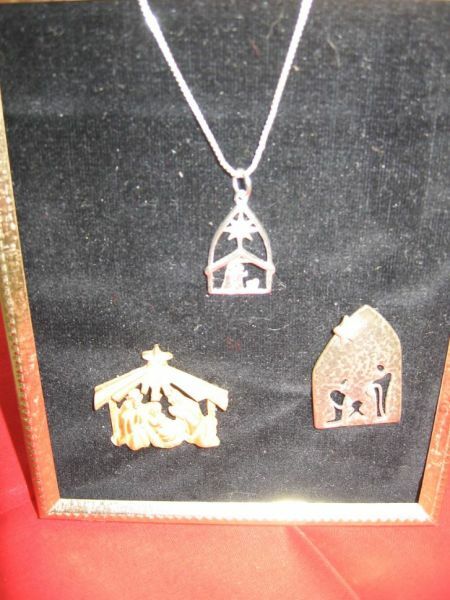 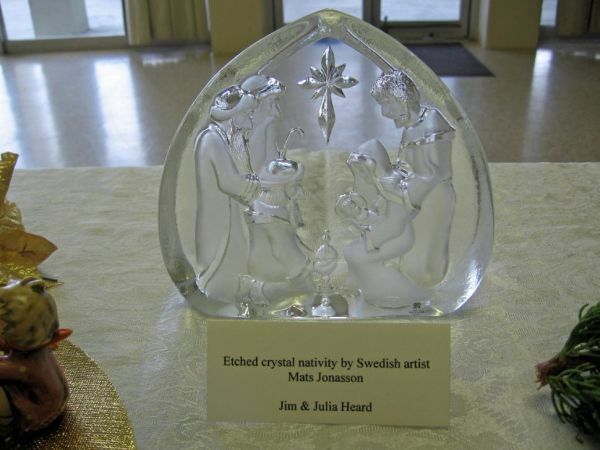 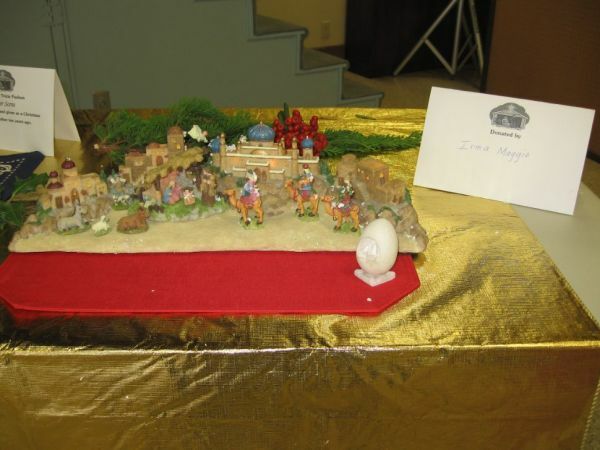 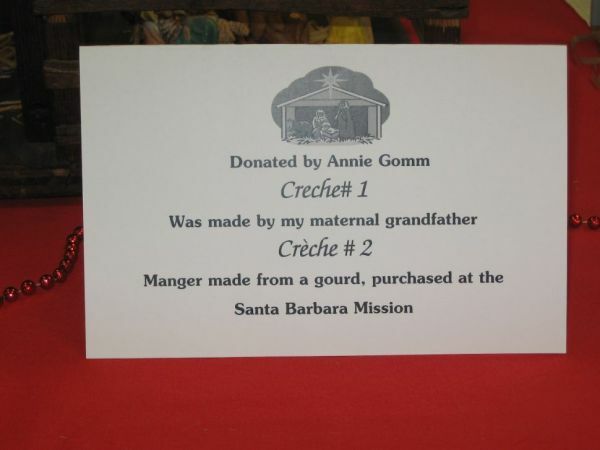 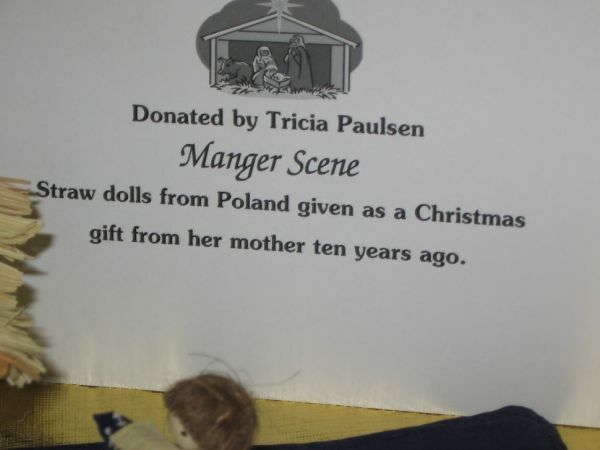 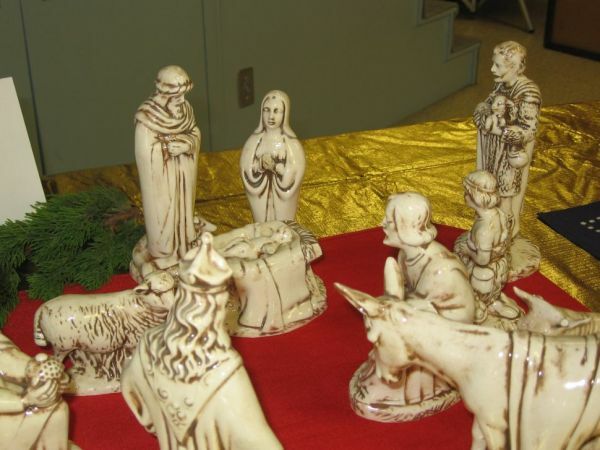 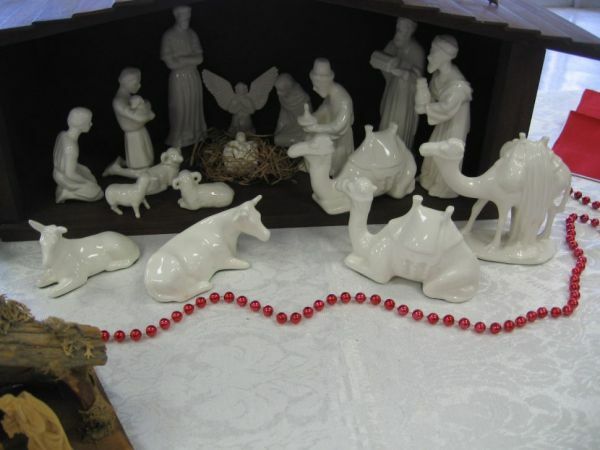 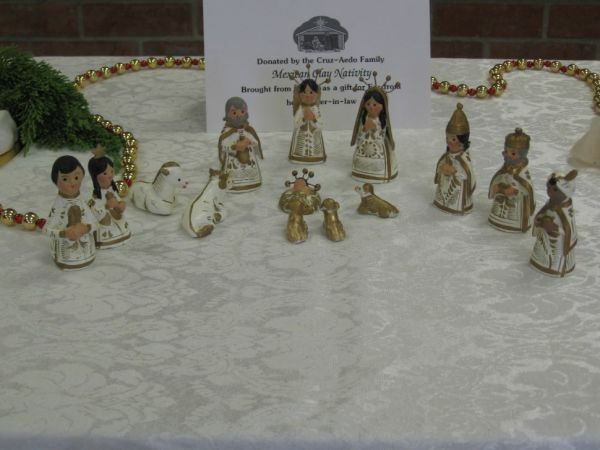 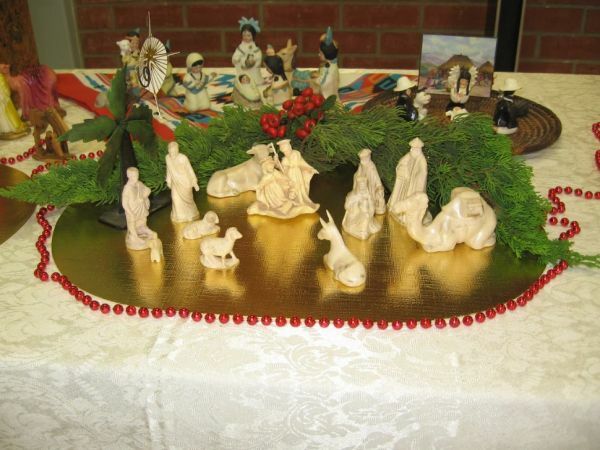 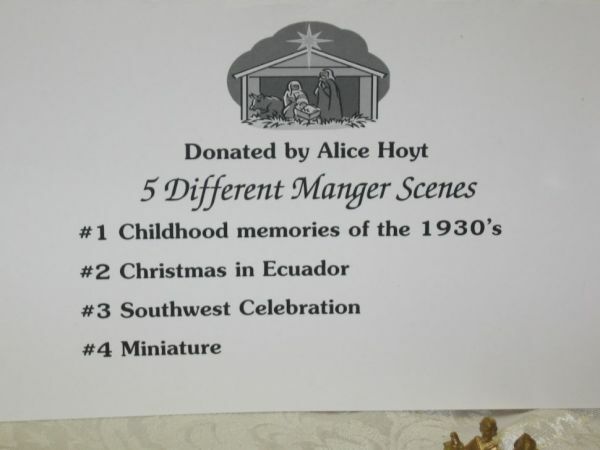 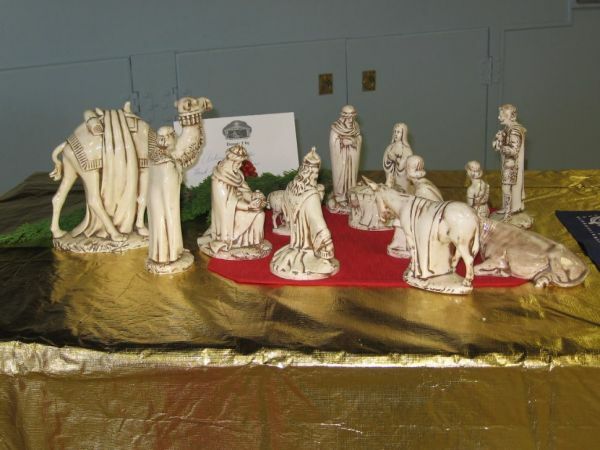 To raise money for mission projects, once again United Mehodist Women sponsored the Manger Scene. 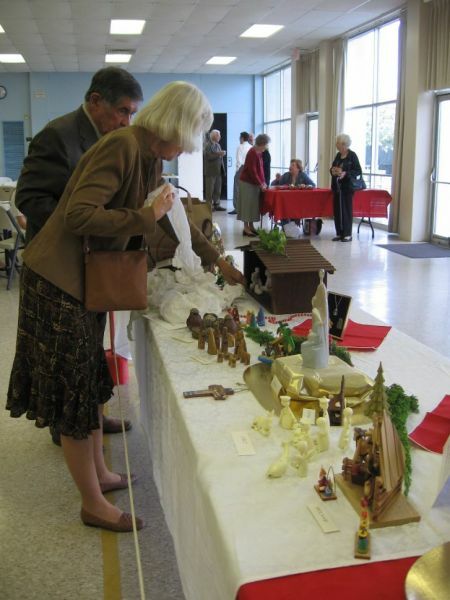 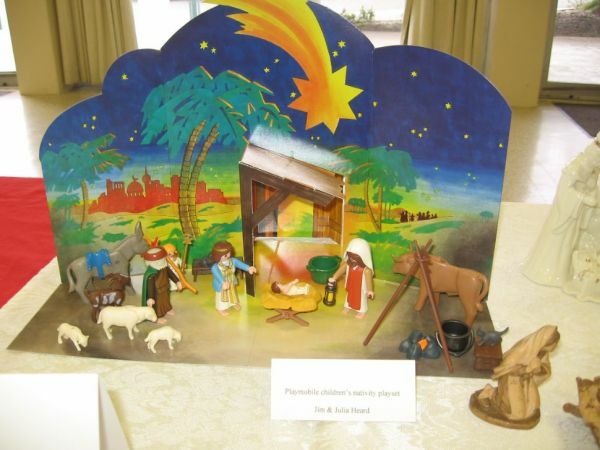 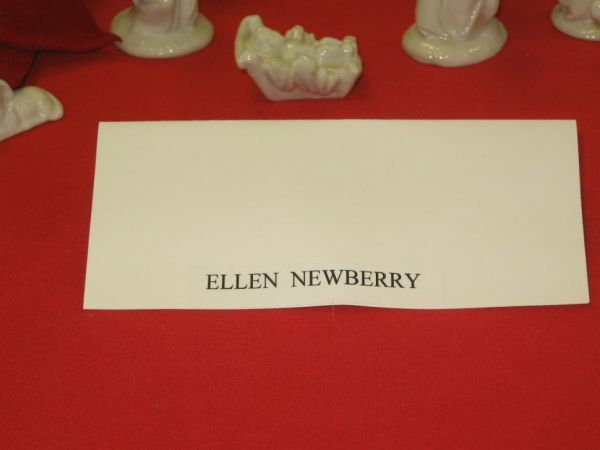 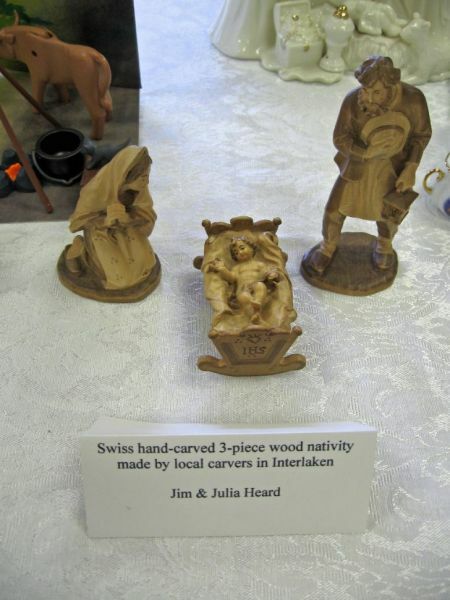 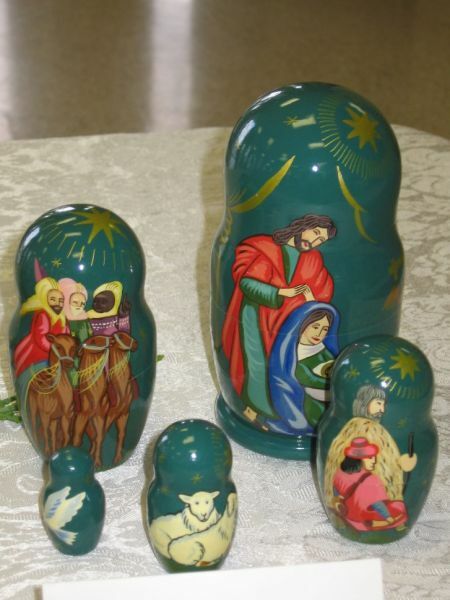 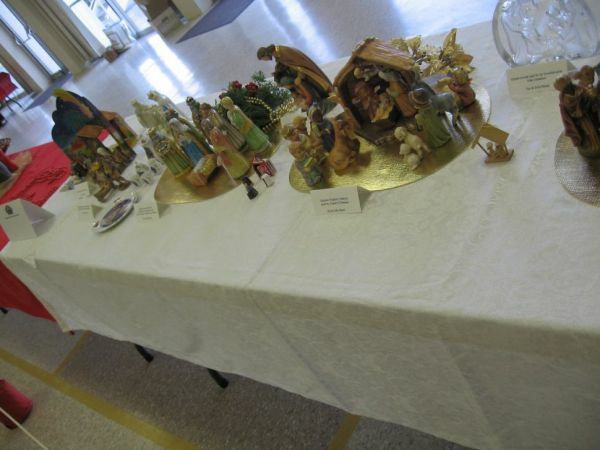 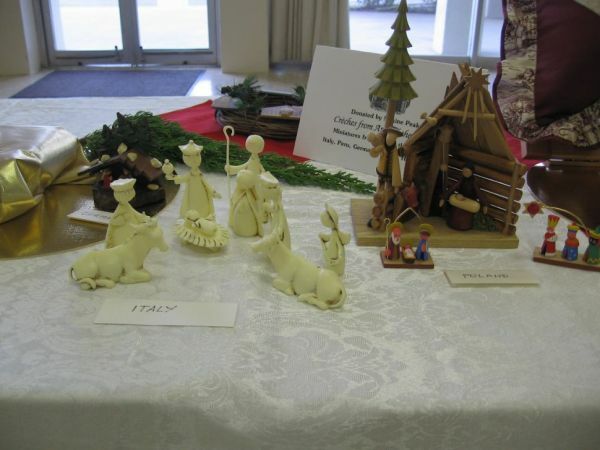 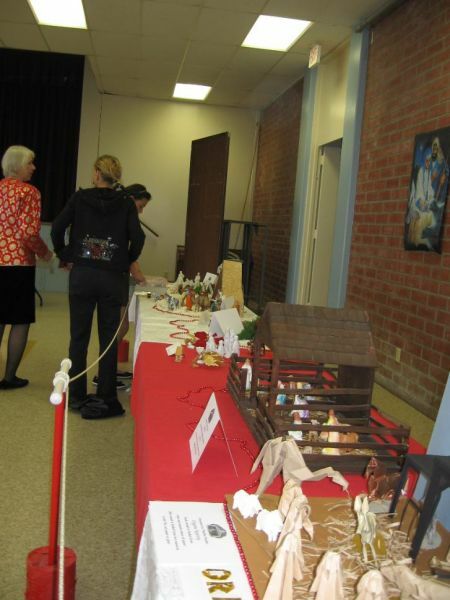 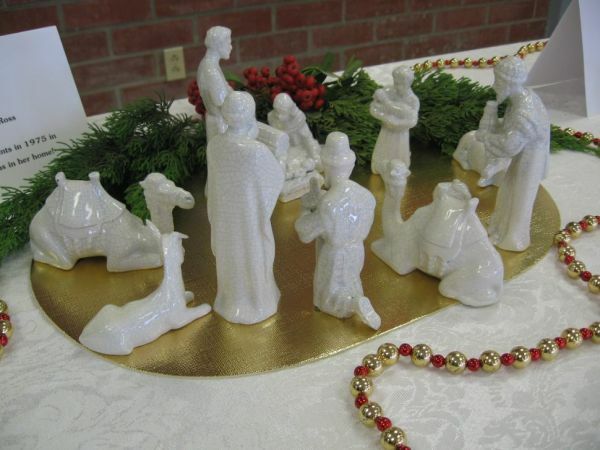 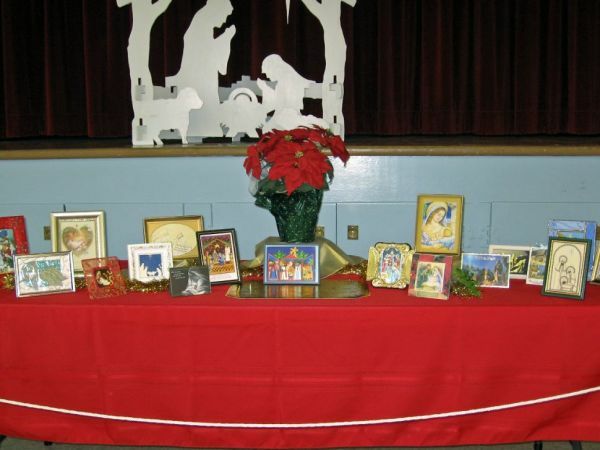 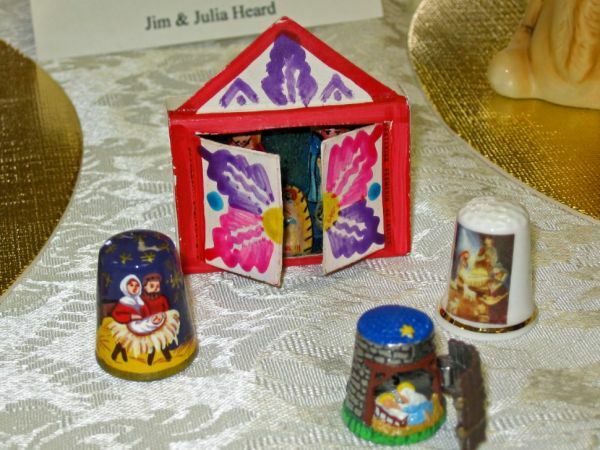 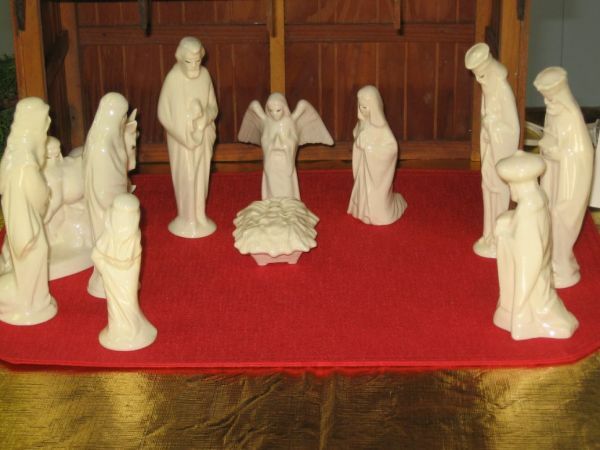 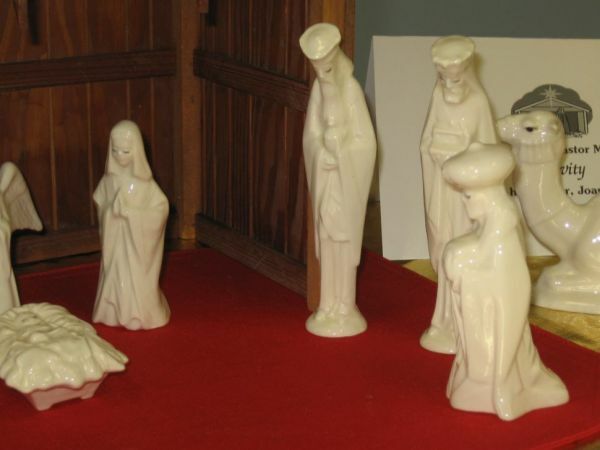 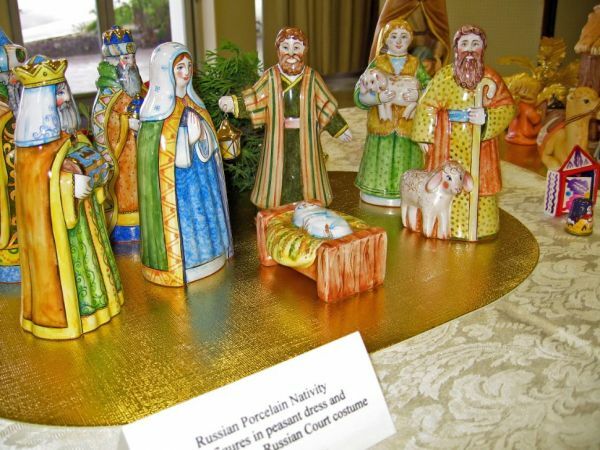 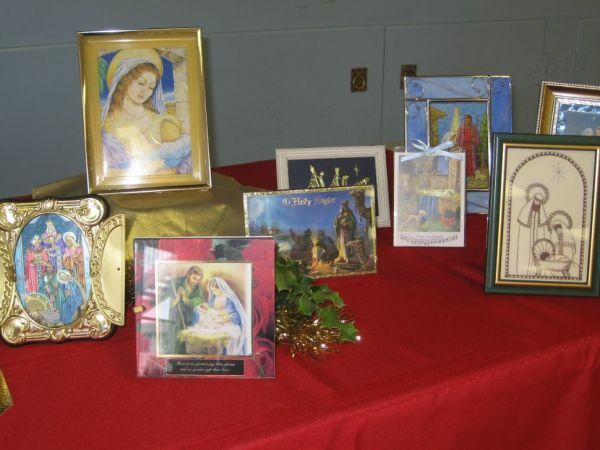 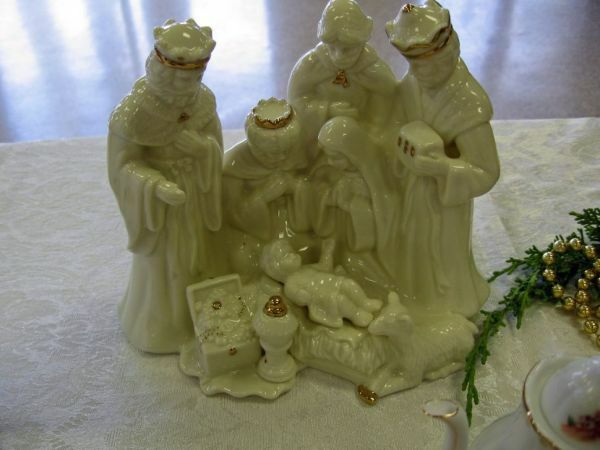 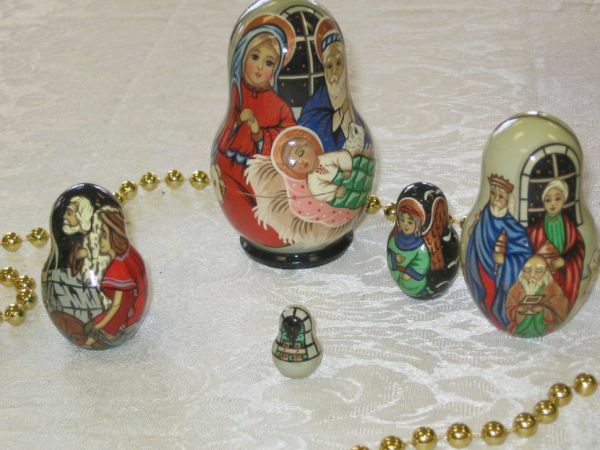 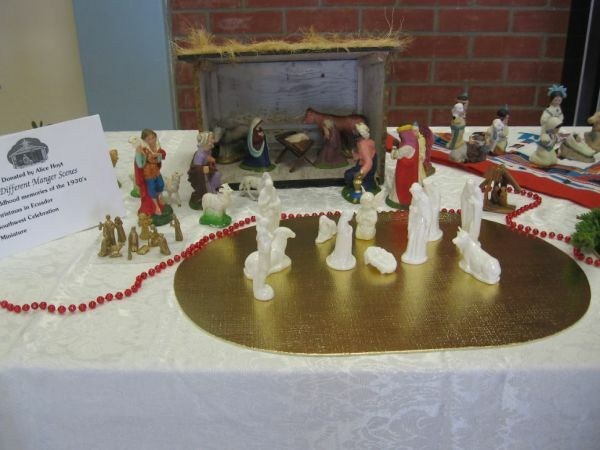 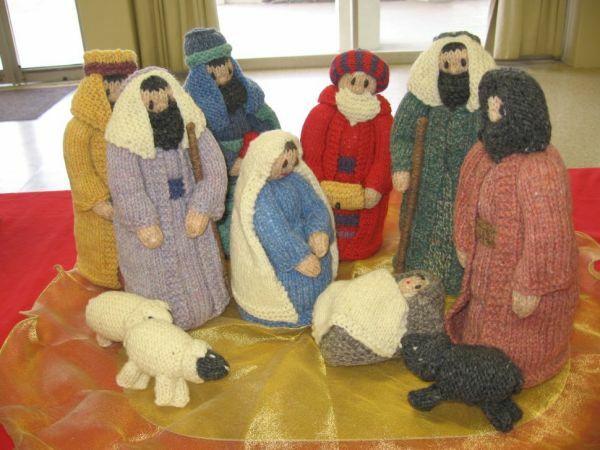 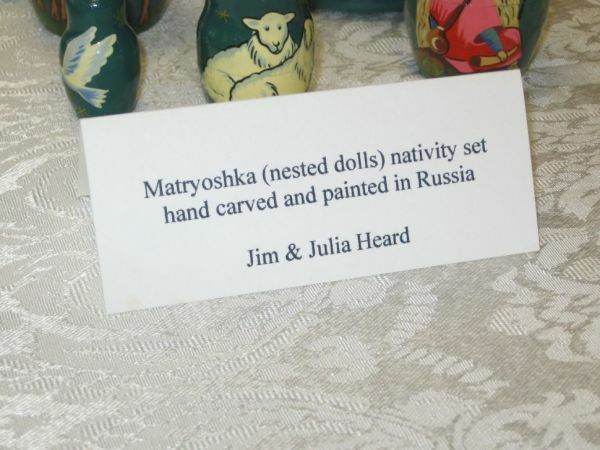 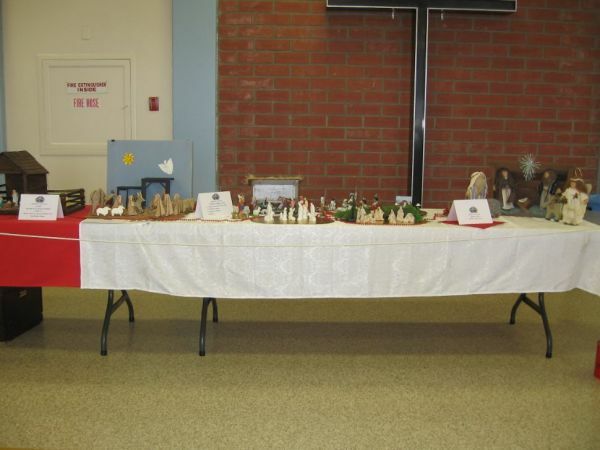 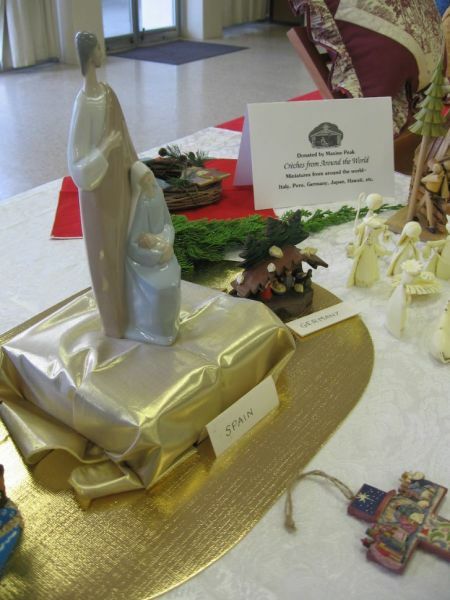 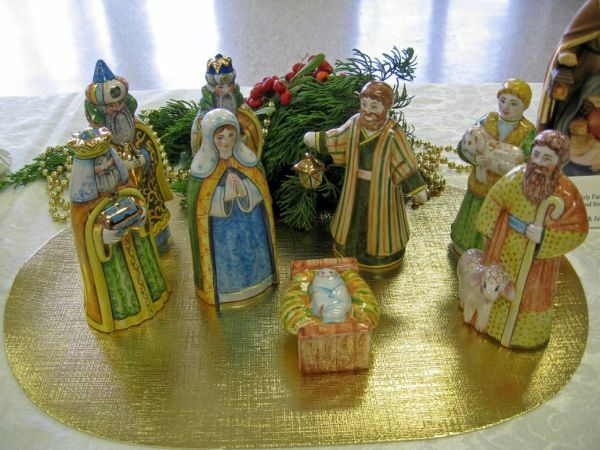 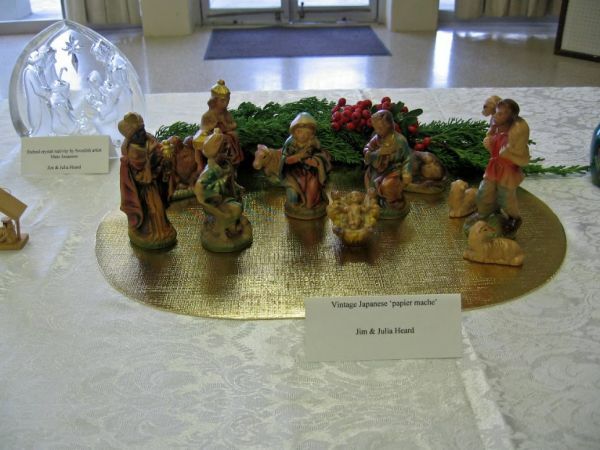 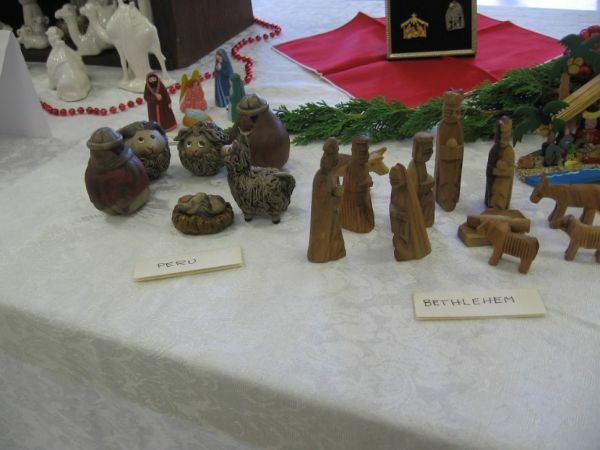 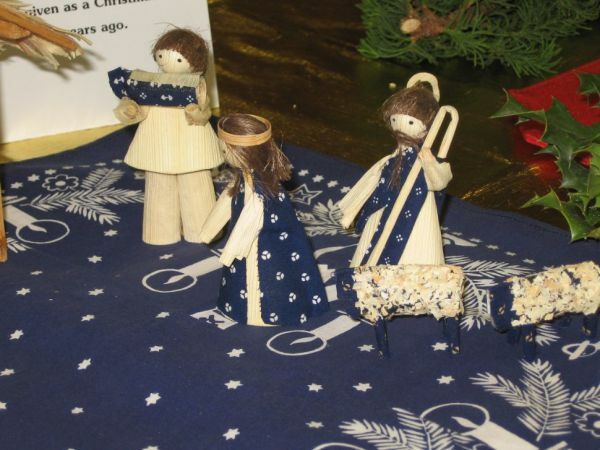 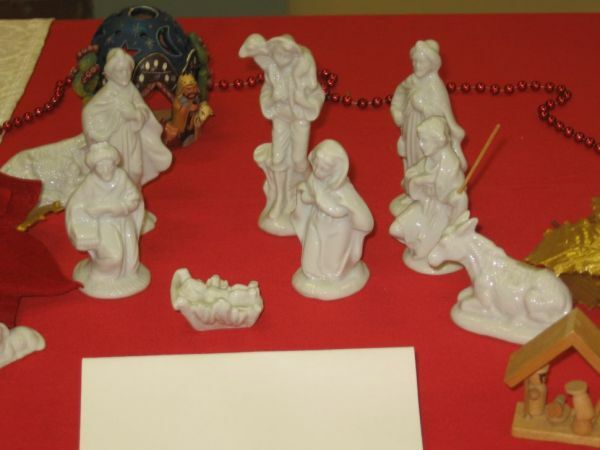 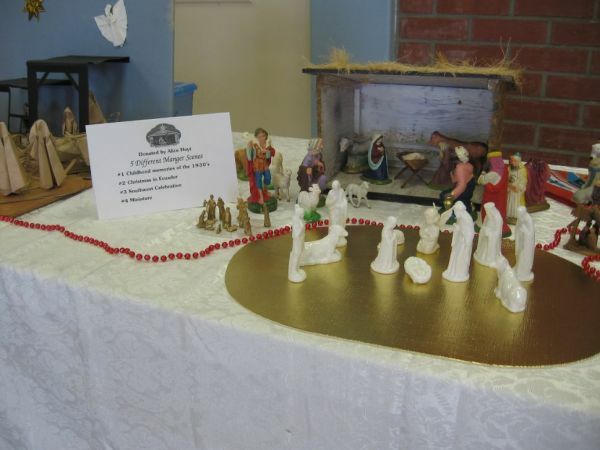 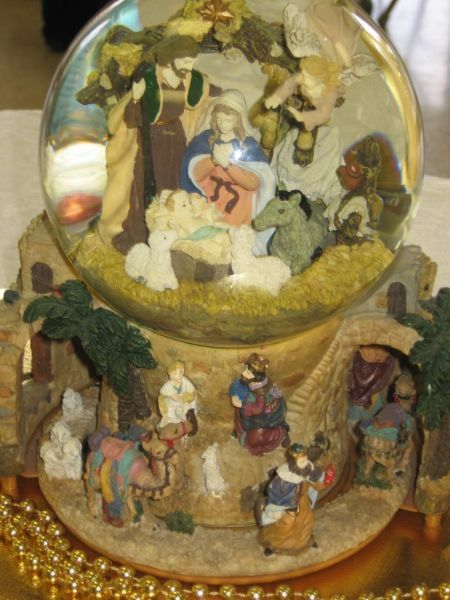 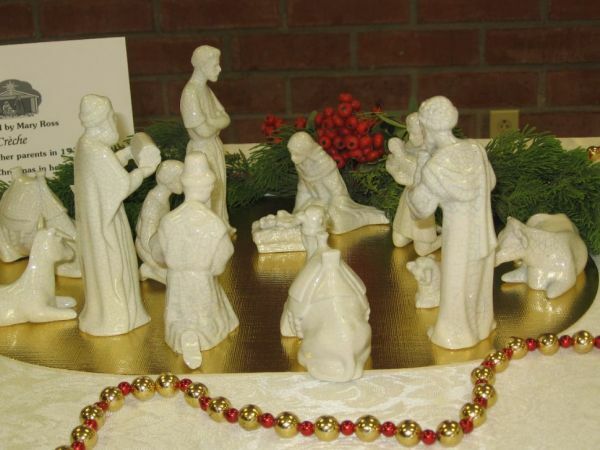 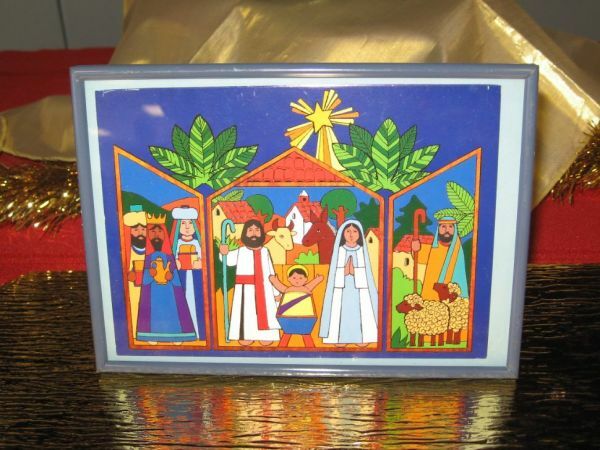 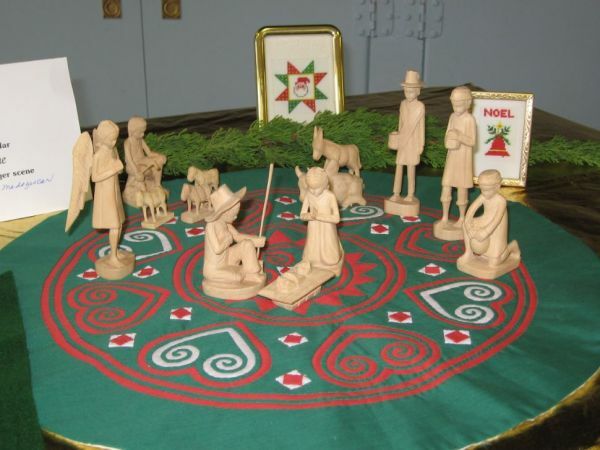 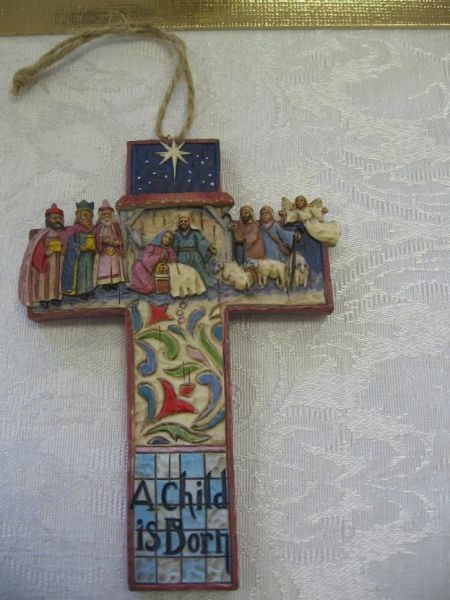 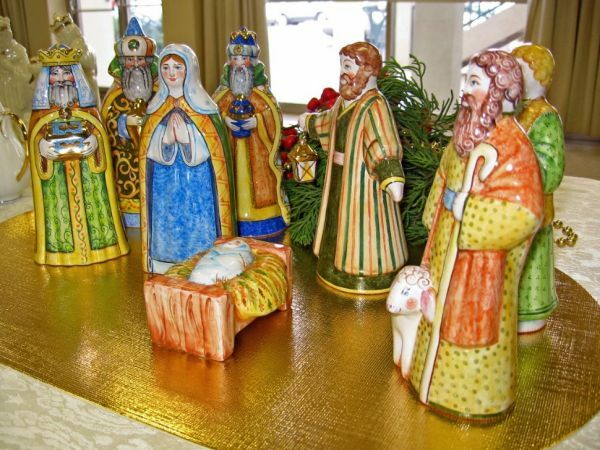 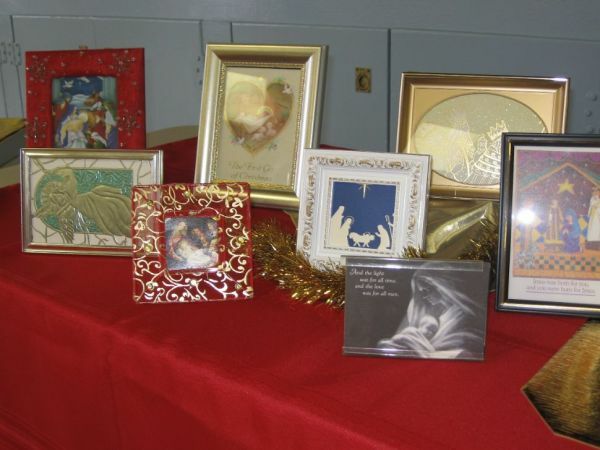 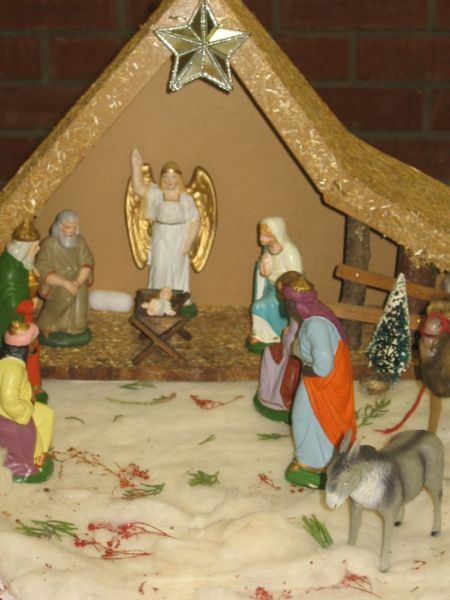 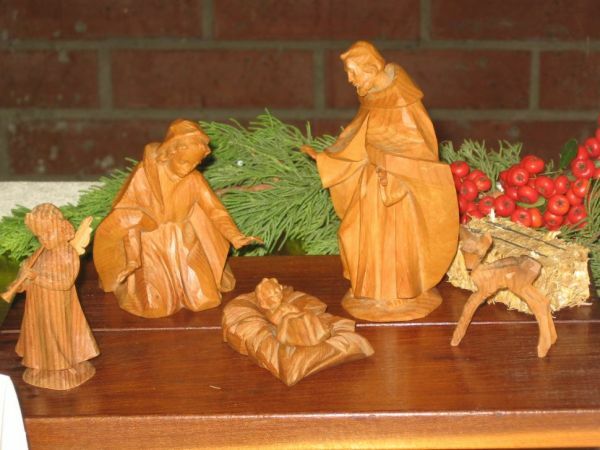 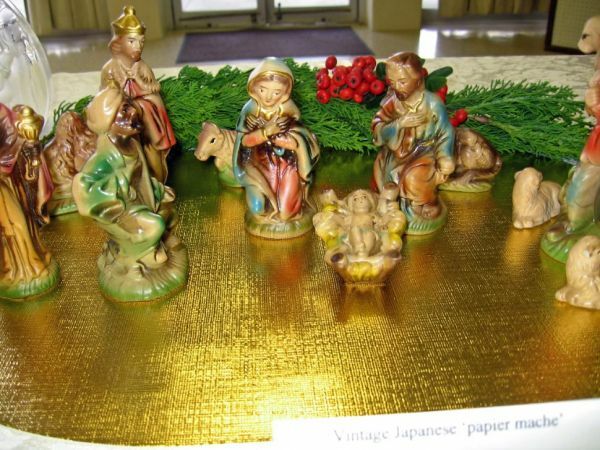 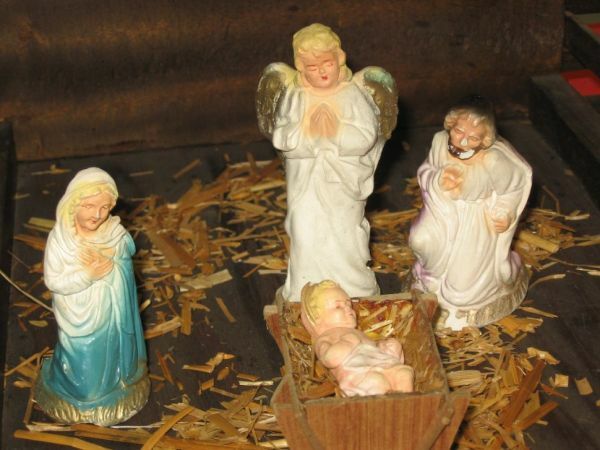 People of our congregation display their nativity collections. 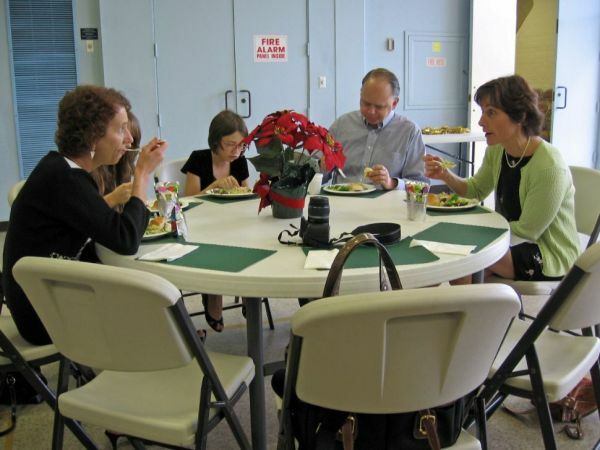 If you look in the background of the picture above, you will see a table with teen feet, and two people standing in front. 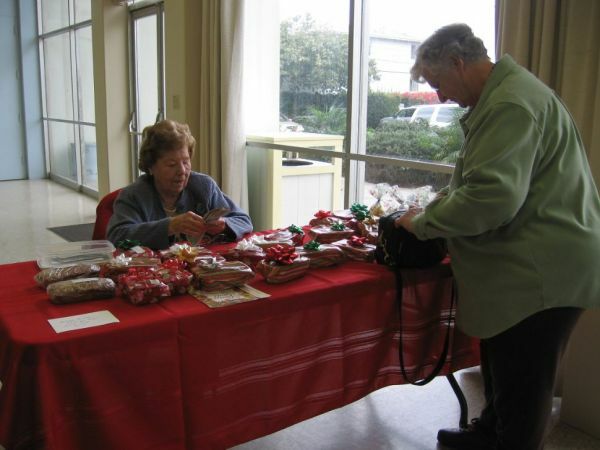 In case you are curious, Linda and Dylan were selling See's candy to raise money for the youth program. 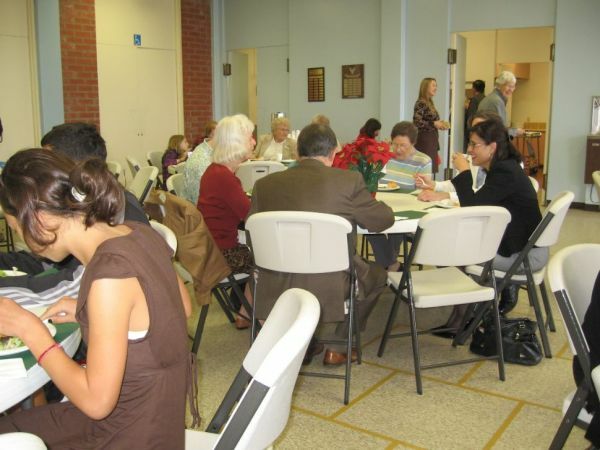 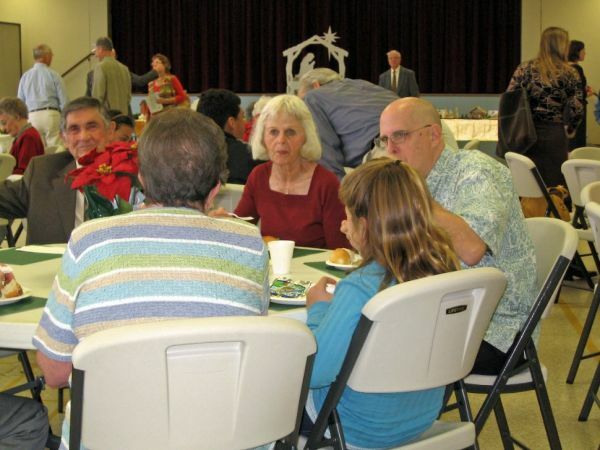 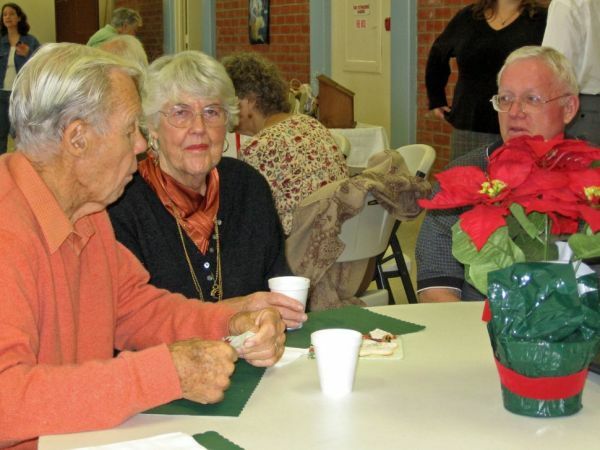 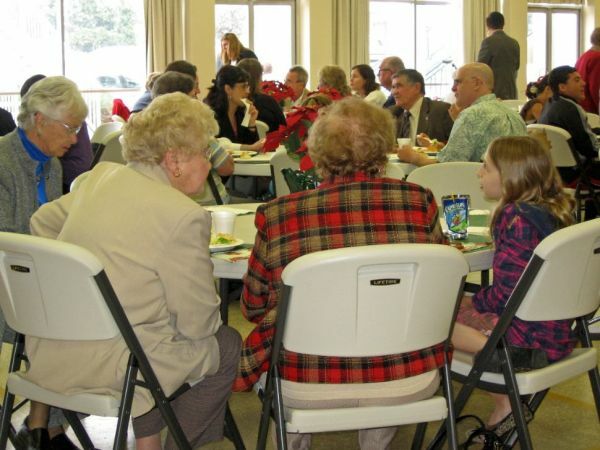 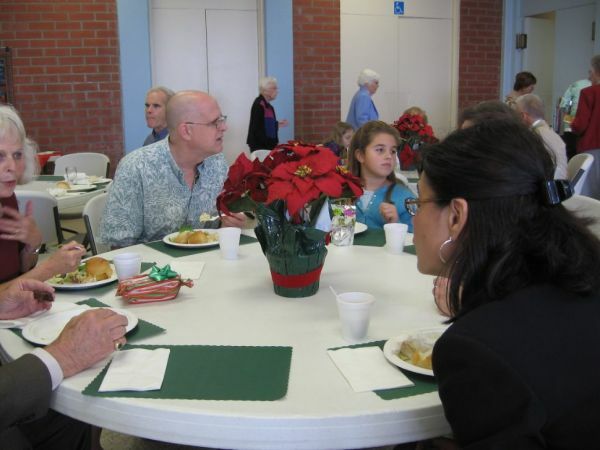 Food and Fellowship at Riviera UMC - A multi-generational event! 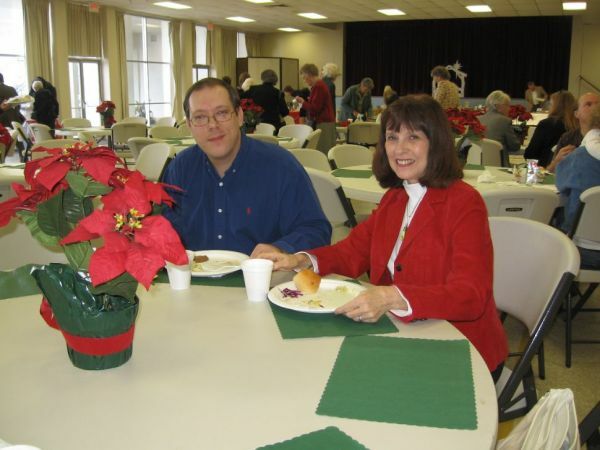 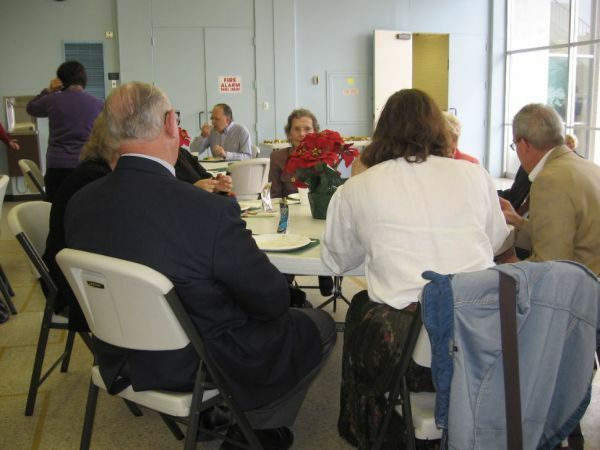 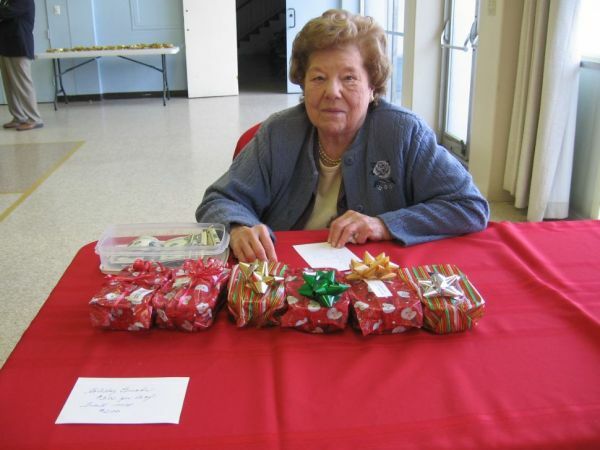 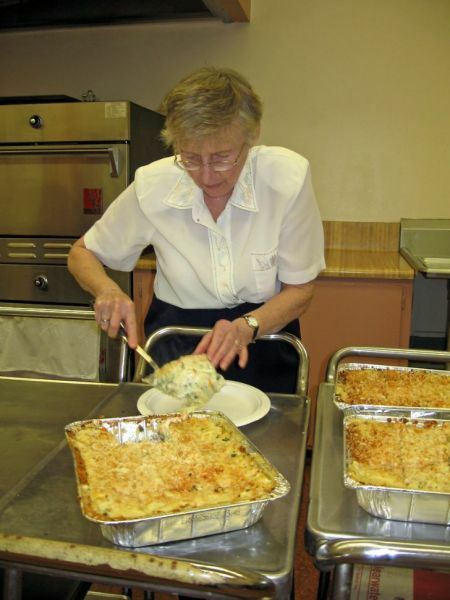 To raise funds for mission, the UMW also prepared lunch, for a $5 dollar donation per person, $12.00 per family. 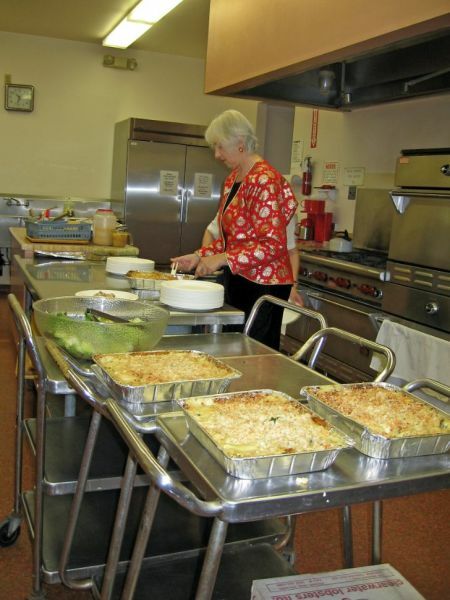 past presidents Mary and Ellen help in the kitchen. 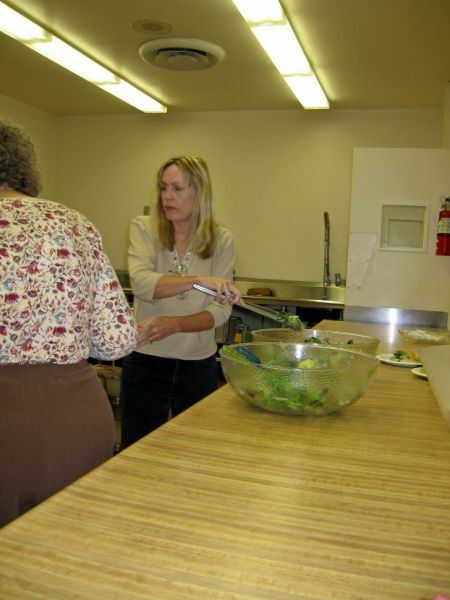 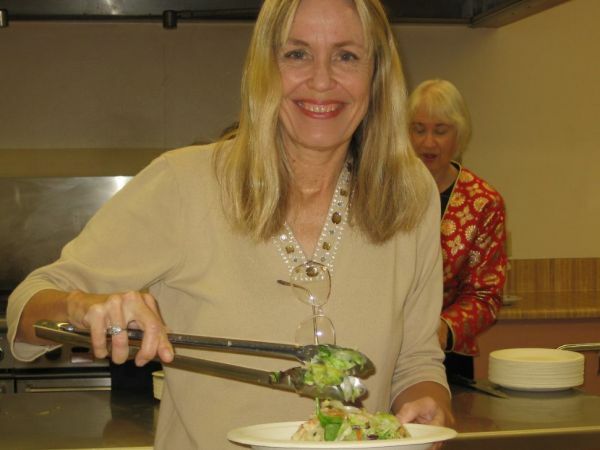 Sharon, our current president dishes out the salad. 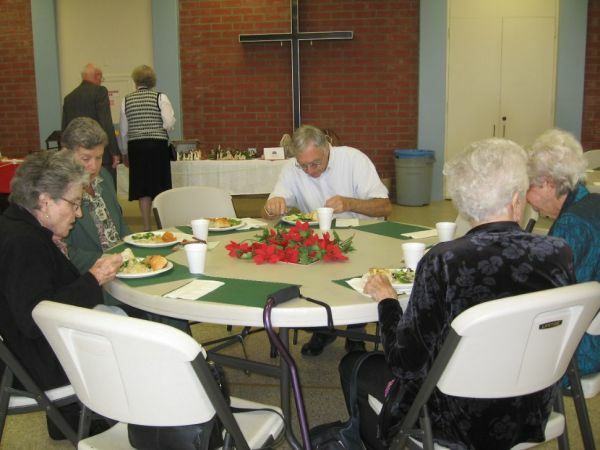 There was also rolls and drinks, with home made cookies for desert! 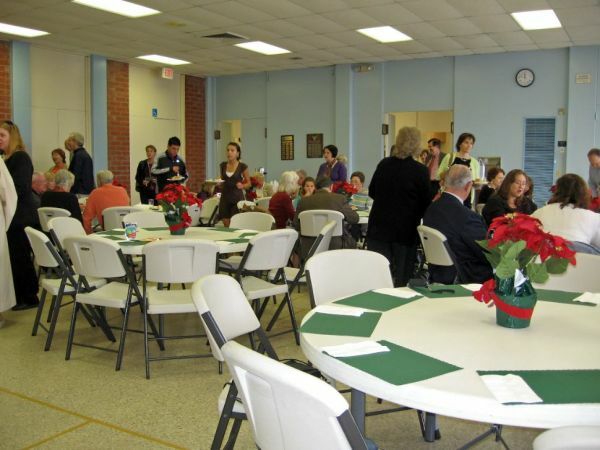 Our church family begins a delicious lunch. 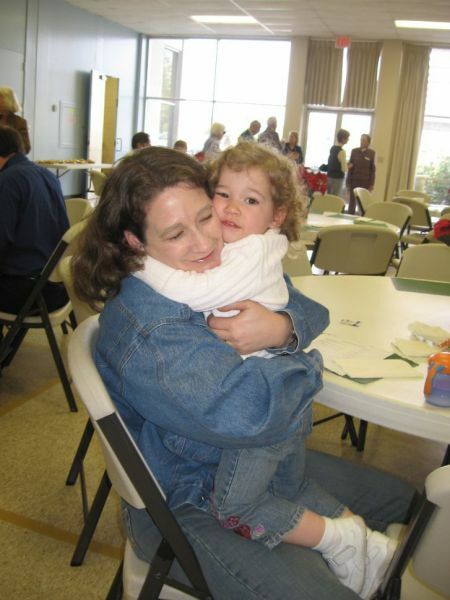 Miss Howland and her mom, Donna. 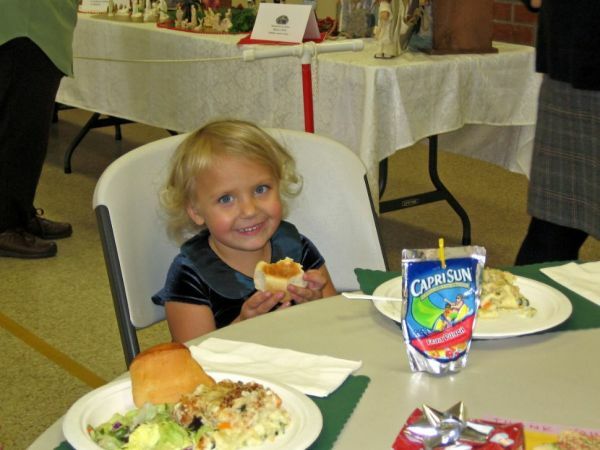 Miss Blackstone, a very friendly and cordial 2 year old, perhaps is most friendly and caring child I've ever met. 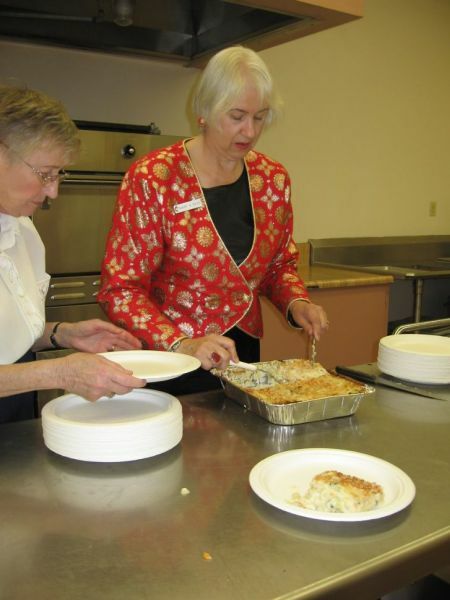 To raise money for missions, UMW team of cooks baked home-made sweet breads. 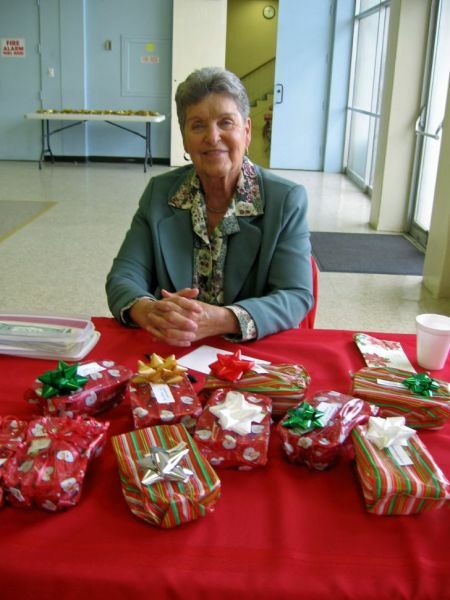 Joy, a retired kindergarden teacher is on duty. 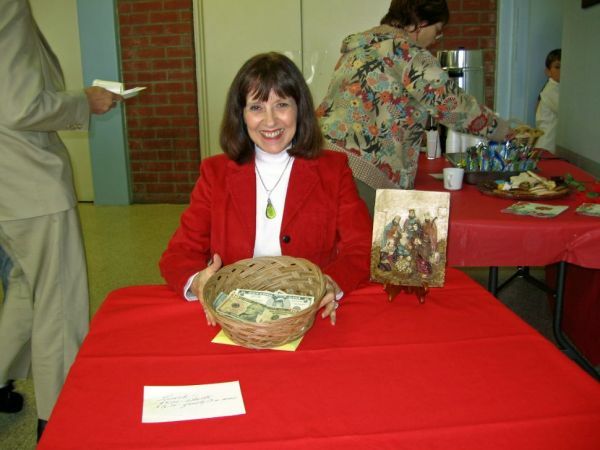 Leora also took a turn at selling bread as well. 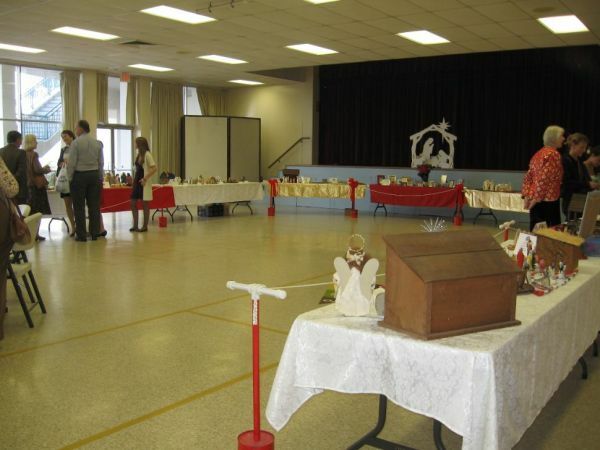 By the end of the event, a few breads were left, but now for long! 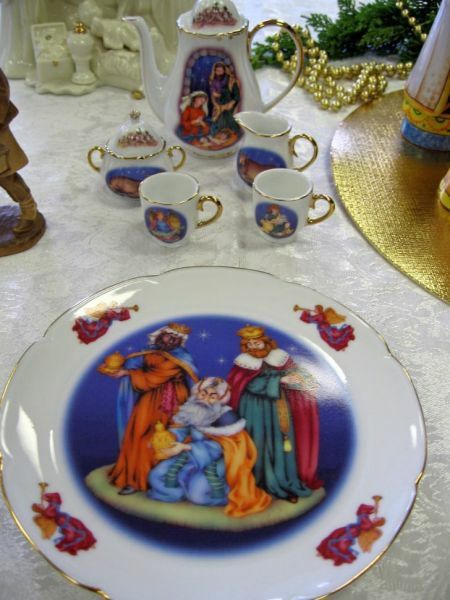 I like the Russian porcelain set, very colorful!